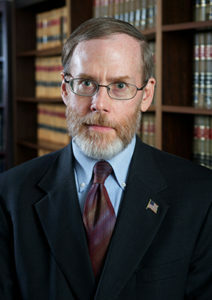 Mr. Clem joined the firm in 1990. Before becoming an attorney, Ed focused his education and career on accounting. He received Bachelor’s and Master’s Degrees in accounting from the University of Kentucky. Ed became a Certified Public Accountant (CPA) in 1987. He then proceeded to UK’s law school, graduated with a J.D. degree and became licensed to practice in Kentucky in 1990. Ed is also a Certified Management Accountant (CMA) and is admitted to the bar in Indiana. This educational background lends itself well in the areas that Ed now practices. He focuses his efforts on probate and estate planning, bankruptcy, real estate, and corporations. While away from work, Ed enjoys spending time with his family. He and his wife, Judy, have three children. He also serves on the Board of numerous non-profit organizations and spends his free time reading and working in his yard. Institute of Management Accountants, Inc. Regardless of your legal issue, you can count on Neel Wilson & Clem having your best interest in mind!